This post is in response to the Weekly Photo Challenge: Change. 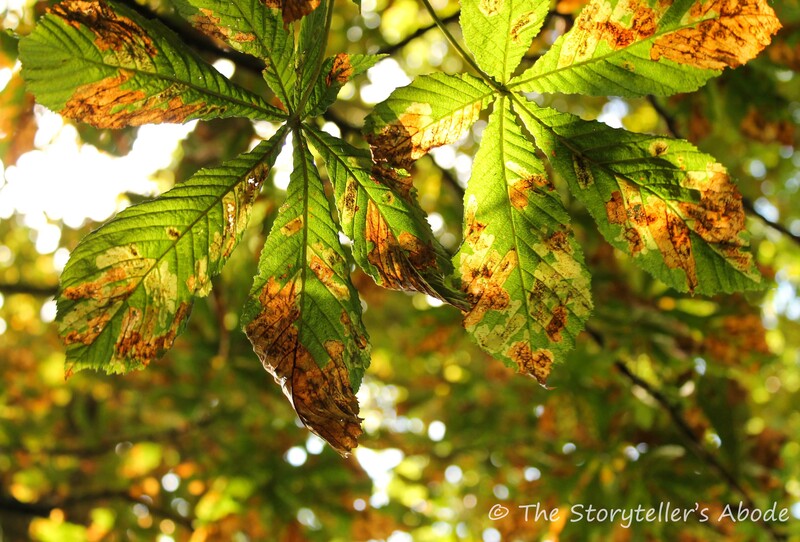 I love this time of year – as summer shifts into autumn, greens fading into gold. With this week’s theme I thought I’d capture that change in progress. A really good interpretation of the theme, I do like them! 🙂 Especially the second one, I’m somehow drawn to the white spots in the background and how they mix with the brown patches on the leaves, a very interesting pic! Thank you! The light through the trees was lovely this morning. 🙂 I’m glad you like them. A perfect example of change. Great close up with Brown leaf. Can’t get better example of change. Thank you! I love watching the autumnal changes taking place. 🙂 I’m glad you like them. So good, Louise! I love these, perfectly depict change in the moment. Beautiful! And, yes, I am with you, I love this time of year. Thank you, Carrie. I’ve always felt autumn to be the best season of the year. 🙂 I’m very glad you like them. This is a wonderful representation of the change from summer to Fall! Lovely words as well! Thank you, Lynz. 🙂 I love this time of year so photographing it is always a pleasure. I’m glad you like them. Beautiful golden colour to the images.